Long a vocal proponent of extremist anti-immigrant policies, Iowa Rep. Steve King hasn’t wasted any time jumping on the anti-immigrant, white nationalist Trump bandwagon. Now he apparently wants to make sure America is crystal clear about his support for white nationalism throughout the rest of the world, as well. 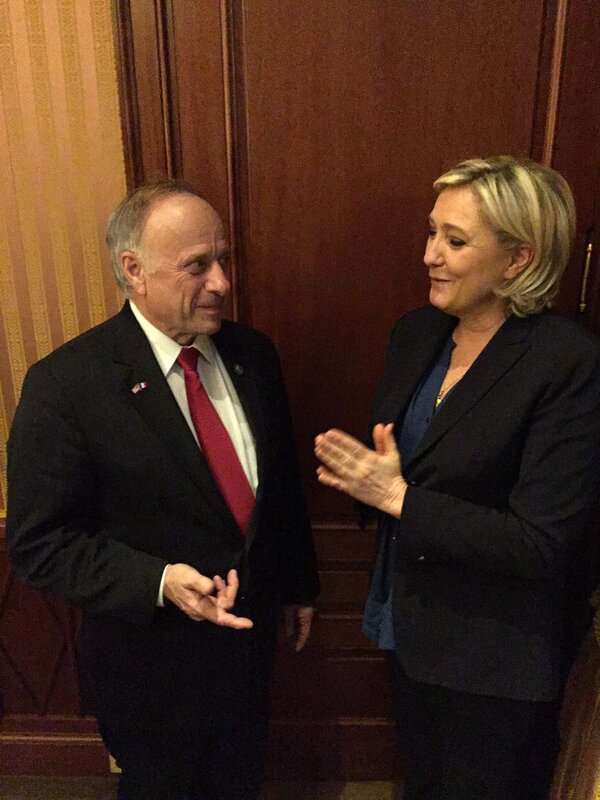 He met with Marine Le Pen. Marine Le Pen is, for newcomers, the white nationalist leader of the extremist-right French political party National Front. Her father was himself a notorious anti-Semite and Holocaust denier; she herself is a Trumpesque figure who demands immigrants be stripped of jobs, welfare, school rights, and all other government services in favor of native citizens.